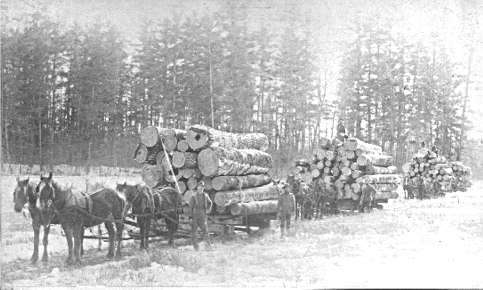 Rodman logging crews going to the saw mill. Rodman logging crew at camp. Rodman Lumber Co. saw mill. Old abandoned O.V.R. rail line. __ In 1830 before Florida received statehood, John Rodman petitioned the United States and Spain for a land grant of about 16,000 acres. This grant became know as The Rodman Grant. Between 1892 and 1954 the property changed hands several times and was subject to numerous timber leases and naval store leases. 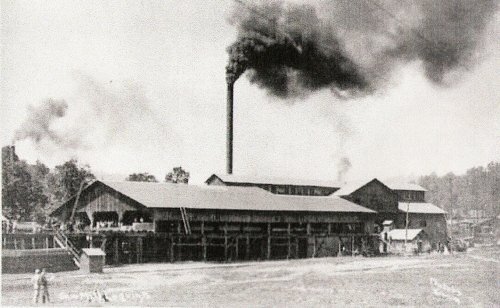 In 1892 John J. Cummings purchases the property and continues with timber and naval store operations. In 1900 the town of Rodman is created and over the next few years a sawmill is constructed and the town grows to contain churches and schools for both white and black residents, 2 stores, 1 hotel, and housing for the few hundred men who worked there. In 1903 John J. Cummings sells out his sawmill to Rodman Lumber Co., which is owned by H. S. Cummings, who built the original house that is still on the property today. 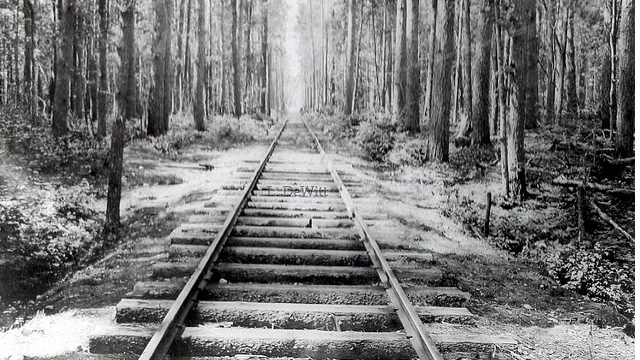 Also during these years a railroad spur is constructed across Cow Heaven Swamp to the Ocklawaha Valley Railroad, which runs from Palatka to Ocala. With this connection Rodman grows with commerce and tourism. 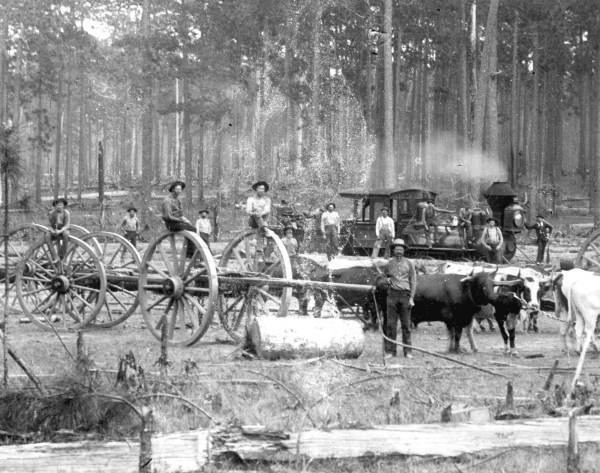 In 1911 the first sawmill burns down and a much larger one is built in its’ place. The employment goes up to 600-700 men. Large brick and concrete structures from the sawmill are scattered on the property and still exist to this day. As Rodman grew, its fate as a town hinged upon the railroad operation, and it became a regular stop on the trip between Ocala and Palatka. So when it was proposed to close the railroad in 1918, a suit was filed to keep it open, the judge appointed Mr. H. S. Cummings as receiver of the railroad and he operated it till his death in 1922. After the death of Mr. Cummings in the house, the stockholders began infighting and eventually sold everything to satisfy tax certificates. The property became part of a large land scheme called New South Farm and Home and the property was subdivided into 10 acre tracts and sold to people all over the United States sight unseen. During this time, and for the next 18 years, all the building were either moved or dismantled and relocated to Palatka, Interlachen, and other settlements in the area. Around 1940 Homer Rodeheaver, who was a friend of Mr. Cummings and traveled the country with Billy Sunday leading the music for large revivals and tent meeting, started acquiring large parcels in the area and the house that exist today. He named the property Rainbow Ranch with the intention of having a place where the homeless and vagrants of the day would have a place to live and work. After a few years, Mr. Rodeheaver talked local extension agent Harry Westbury into running the ranch, which he did until the late 50’s. At that time, the property was sold to the Tilton family. However, before he sold, Mr. Rodeheaver started a boy’s ranch where troubled young men and boys could go to live. The original ranch was located at the house that remains, but in 1950 Mr. Rodeheaver carved out a piece of property on the St. Johns River and built what is known today as the Rodeheaver Boy’s Ranch in its current location. The Tilton’s lived in the house and operated the Circle Bar Ranch until the mid 70’s. From that time on, the property was bought and sold several times until its current owners purchase in the mid 1990's.